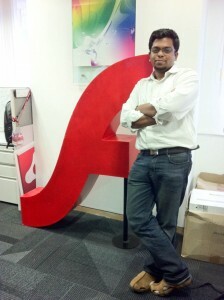 Its been just over a year since I had the privilege of joining the India Evangelism Team at Adobe. Had an opportunity to speak at reputed conferences, visit institutions, work with a super cool team on some amazing pieces of work and meet most of you! Looking for exciting opportunities ahead! Good to hear another great soul is on Flash Runtime!